A firefighter with the Montgomery County Fire Department sustained a slip-and-fall injury while suppressing a fire at a residential property in Darnestown, Maryland, according to an article in The Baltimore Sun. The residential fire in question occurred early in the morning of December 31, 2017, near the 14600 block of Dodie Terrace. Approximately 75 firefighters rushed to the scene to contain and suppress the fire. Outside of the slip-and-fall injury to the firefighter, no one else sustained injury in the Darnestown fire. This is particularly impressive considering that approximately 100 firefighters from the same department extinguished a separate residential fire in Gaithersburg, Maryland. The Gaithersburg fire resulted in significant damage to 12 condo units. Authorities shepherded affected residents to a nearby school while they battled the fire. Between the two residential fires, dozens of residents were forced to abandon their homes. Thankfully all of the residents escaped serious injury. A police officer received medical treatment for minor injuries. And the firefighter mentioned previously sustained an injury while slipping and falling on the property. While the firefighter recovers from this slip-and-fall incident, it is natural to wonder about liability for the injury. 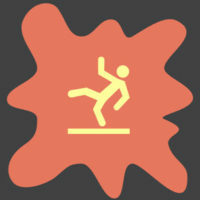 In order to grasp the boundaries of slip-and-fall injuries in Maryland, it seems like a great time to review important considerations for premises liability. What is Premises Liability in Maryland? Officially referred to as premises liability, this arena of personal injury laws lays out duties and responsibilities for property owners. On a larger level, property owners must maintain their property in a safe condition, safeguarding visitors from unreasonably dangerous conditions. If a person visits the property and sustains an injury, they may be able to recover compensation from the property owner in a premises liability lawsuit. What is the Standard of Proof for Premises Liability in Maryland? As premises liability is a subdivision of personal injury law, negligence is required. Stated otherwise, the injured party must prove that the property owner was careless or reckless in maintaining the property. Essentially, the injured party must prove that the property owner knew of – or should have known of – a dangerous condition on the property. Then the injured party must prove that the property owner failed to address or fix the dangerous condition. Finally, the injured party must prove that the dangerous condition was the cause of their injury. If you are dealing with a slip-and-fall injury or even wrongful death that occurred on another person’s property, contact us today at Iamele & Iamele, LLP in Baltimore, Maryland. We will help you throughout each step of your case.